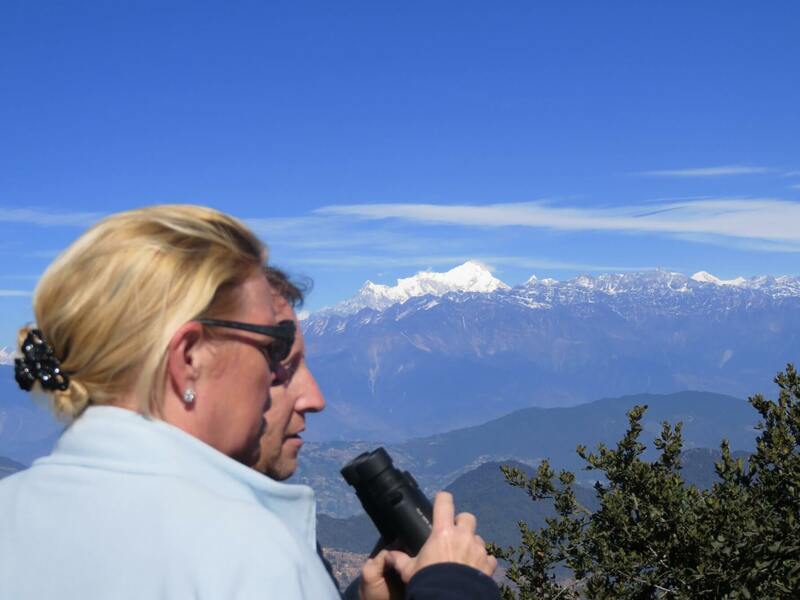 Nagarkot trek caters to those who want to explore nature in a little adventure that requires only 2 days. Nagarkot is situated at an altitude of 2170 m and is only 32 km away from the Kathmandu valley. It is a popular travel destination among the local and international travelers. This hike gives you a perfect blend of cultural and natural experiences where you can explore the countryside to satisfy your curiosity about the wild. Nagarkot is a place high above the Kathmandu Valley that is famous for its views of the surrounding area and the Himalayas. Nagarkot is a hill station with breathtaking sights of the majestic Himalayas, rising and falling hills, deep green valleys with flourishing pine wood in a charming rural atmosphere. Well-known for its sunrise view from the snow-capped peaks of the Himalayan Range, Nagarkot also offers a panoramic outlook of the great Kathmandu Valley. With a short drive away from the busy Kathmandu city, you can get scenic views of the green valleys and farming fields, dense forests and picturesque Himalayan landscapes, especially during sunset. The trails are quite convenient and easy. No wonder Nagarkot has always been a popular tourist spot over the years. Day 1: Pickup at your hotel and drive off to Sankhu. From there onwards, start hiking for near about 4 hours until you reach Nagarkot. Watch the sunset view. Day 2: Early morning wakeup call and get a splendid view of the morning sunrise. Hike downhill to Changunarayan temple and explore the city for a while before heading back to Kathmandu. Transfer from your hotel to Nagarkot and back to your hotel. One night accommodation at a hotel in Nagarkot on bed and breakfast, twin sharing room. USD 130 per person for 2 or more person group. USD 150 for solo Hiking.